I have served in various roles in my last 22 years with Intel, both in the business units and in IT, driving transformative change. Currently, I am leading the digital transformation of Intel’s supply chain in IT. As described in the 2018-2019 Intel IT Annual Performance Report, “Driving the Digital Enterprise Transformation,” we are applying the power of data and artificial intelligence (AI) to modernize our supply chain processes and architecture in the face of an ever-changing business and technology landscape. Of course, we’ve been optimizing Intel’s supply chain for a decade, and Intel has been on the Gartner Top 10 Supply Chain list for several consecutive years. But we’re going further to orchestrate the supply chain across Intel’s business units, using analytics to create a supply chain that is responsive to customers’ needs. AI can tell us what the customer wants and enables us to put that signal in our entire end-to-end business process. Intel’s supply chain is exceedingly complex and sophisticated. For example, it includes several hundred facilities in over 60 countries, nearly 20,000 suppliers, and thousands of customers. Each year, we fulfill one million orders and ship one billion units. In addition, Intel’s new business growth has dramatically increased our supply chain complexity. Today we have a hybrid supply chain, meaning there’s a mixture of in-house and outsourced manufacturing. Instead of high-volume, low-mix product, we’re seeing more highly variable product demands. Our factories will be creating 10 nm products while still producing 14 nm products. Our customer landscape is also changing, requiring us to accommodate new safety standards, laws, and regulations associated with various verticals, such as government, automotive, and healthcare markets. The bottom line is that we need to modernize, standardize, and simplify end-to-end, and rely on analytics more than ever so we can plan and synchronize everything. By harnessing the power of AI, Intel can leapfrog ahead of the competition. That is really what we’re trying to do. We are working with Intel’s Corporate Data Office (CDO) to get the data foundation in place so we can use AI in analytics. We are also building on that momentum by integrating financials, sales and marketing, and supply chain into a single analytics platform. This integrated platform will enable Intel to make optimized, real-time decisions. Too often, companies start a digital transformation by talking about technology. But we have found that to create competitive advantage you have to lead with strategic goals, then focus on business process, and only then should you talk about technology. Set clear, measurable strategic goals. Partner with the business units by moving from the back room to the board room. Simplify the platform by taking advantage of software-as-a-service (SaaS) innovations that are available for non-differentiating tasks. Focus investments and customizations on Intel’s strengths, which are our factories and our intellectual property. We have formed a strategic partnership between sourcing, planning and logistics, and IT. It’s a triad that combines people, end-to-end processes, and technology. IT is a fantastic strategic partner to the business units because 1) we are familiar with the technology that runs the company and the supply chain, and 2) we are in a unique position to see the end-to-end processes. Optimized sourcing. We consolidated multiple purchasing processes and technologies onto a standard enterprise resource planning (ERP) platform and then combined that with the innovation of the cloud, SaaS, and a hybrid on-premises solution. Standardized business processes have helped to increase negotiating power, maintain the right inventory in the right place, and decrease scrap. Design engineers now have a menu of materials that have already been vetted by our supply chain analytics for availability, price, and risk. This streamlines the product design process. Configure-to0order. Increasingly, Intel will sell not just hardware, but hardware/software combinations. For example, Intel® Rack Scale Design customers need to be able to pick from a menu so Intel can build exactly the product they want—from the hardware stack all the way up through the data center. We have demonstrated that true pull demand—configure-to-order—is possible. Our Intel Rack Scale Design proof point is a compass for many of Intel’s business units, including those working on the Internet of Things (IoT), Intel® Silicon Photonics, and all the data-centric businesses that we’re betting the company’s future on. Our supply transformation with AI has already provided USD 58 million in savings associated with inventory optimization, and has increased our warehouse planning to 95 percent accuracy. We are now integrating our original design manufacturing supply network (external suppliers) into our models to further facilitate configure-on-demand as well as reduce the time it takes to make design changes. We plan to apply what we learned about sourcing/purchasing to other areas of the supply chain. That is, standardize and simplify the end-to-end transportation process. This will allow the Intel personnel who negotiate contracts and pick the sea lanes to optimize their decisions based on availability and cost. We anticipate that this will save Intel hundreds of millions of dollars. We’re also encouraging Intel IT staff to embrace our partnership with the business units. Modern IT personnel need more than technology skills—they need to have business savvy, understand Intel’s customers, and be able to act as an influencer and a change agent. On top of these soft skills, they need to acquire modern technical skills, such as AI and data science, in-memory databases and distributed file systems, and SaaS and the cloud. Alyson L. Crafton is vice president in the Information Technology Organization. Her team is responsible for all the IT applications and business process for sourcing materials to delivery and returns management of products. She was previously vice president and general manager of the Engineering Shared Services organization within Datacenter Solutions Group. In that role, Alyson’s team was responsible for DSG Solutions Support and Reference Architecture, methodologies and tools, shared infrastructure, and business planning process development. Additionally, Alyson owned DSG’s technology development processes to support solutions deployment and lifecycle management, strategic planning and M&A integration for DSG. Prior to joining DSG, Alyson was vice president in the Information Technology group and general manager of cross-enterprise services. She was responsible for the worldwide organization that develops and supports IT systems for Intel’s Finance, Human Resources and Legal groups. She also led the IT user experience and process excellence team and the IT people systems team. Crafton’s previous role in IT was serving as general manager for Intel’s supply chain IT (SCIT) organization, where she led her team to win an Intel Quality Award in 2014. Her team leadership SCIT also helped earn a top-10 spot for Intel’s supply chain in Gartner Inc.’s top-25 list for four years running. Since joining Intel in 1996, Crafton has led teams in several business groups supporting Intel’s supply chain, customer program management, and planning and materials management. 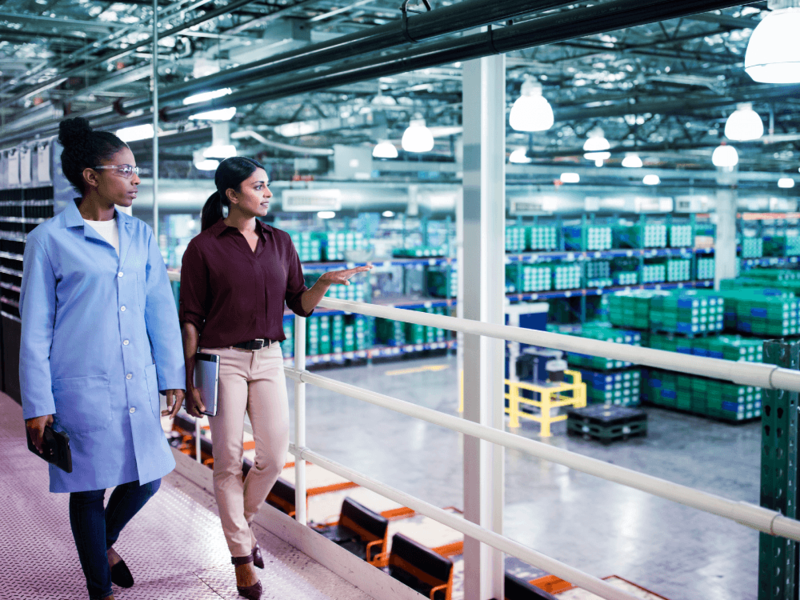 Alyson held various roles in Intel’s customer planning and logistics (CPLG) organization, including branded packaging factory management, materials and planning management, and warehouse management. Crafton earned a bachelor’s degree in psychology and an MBA with a concentration in finance, both from the University of Oregon. An active champion of women in technology and leadership development, she is a past executive sponsor of the Women at Intel Network for Oregon. She currently serves on the Global Business Advisory for Oregon State University’s MBA program and on the Board of Boys and Girls Aid, a local non-profit. She is also an adjunct professor at OSU and speaks widely on topics related to women in technology, leadership and team development, and supply chain, both internally and externally.